What are the features of this website? What award should I buy? This is a common question. In some instances, a person has been tasked to find a great award without any knowledge of how to do that. We often hear something to the effect of, "Hi, my boss asked me to call you and find a great award for our sales team, and I have no idea what to get." How can you know what a great award is? How do you know what your boss really wants? You can rely on the Society Awards concierges. We have the industry's best knowledge of awards for all occasions and circumstances. If you would like personalized assistance or suggestions, please contact a Society Awards concierge at (646) 290-7448. You may also find it helpful to view our categorized awards recommendations. What is the Exclusives Line? What if I am looking for an award that is not on the site? How are your awards priced? Our pricing is kept simple. A per-unit price is determined by the number of awards you are ordering. This price includes the award, personalized copy, gift packaging, artwork and proofs. There is an additional set up charge, which is the cost for preparing the artwork on your award. The setup is only charged once per product type (per order). If you order one or you order one hundred of a given product, there will be only one set up charge. The only other cost is shipping, which is determined during check out. You have the choice between ground and expedited delivery. Our standard turnaround time is 5 to 7 days. We find that this is plenty of time to accommodate most awards needs. Production time starts after proofs are approved. If you need your award much sooner than that, please reach out to an awards concierge at (646) 290-7448. We will accommodate your timing, if possible. Why should I personalize my award? The fact is, recipients love seeing their own name on an award – it’s a part of what makes an award so special and important. Whether it’s a personalized plate or etching, personalization makes the award. We make personalizing awards easy with the only 24/7 full-service awards site in the industry. Whether you are ordering one award or many, it's easy to choose a beautiful award and add your unique personalization. After placing your order, an experienced Society Awards designer create a professional proof for your approval, giving you a chance to preview your customization before production begins. What does personalization look like on my award? How does online customization work? Online award customization is simple to use. First, select your award. If you need help figuring out which award to choose, try the Society Recommendations tab or call one of our dedicated concierges at (646) 290-7448. Next, click on the “Customize Award” button, which takes you to our customization application. From here you can add a logo and/or text. To enter text of different sizes, simply add multiple text boxes and place and size the text on the award where you would like your personalization to appear. Please note that all personalization files are reviewed by our design team, and we may suggest improvements to optimize your layout. A layout proof will be sent to you for final approval. What if I want to customize more than one award? How heavy is an award? Award weight can vary a lot depending on the size and material. Metal and crystal awards will usually be heavier than a Lucite award of equal-size. Weight is often commensurate with perceived value and should be strategically considered. Our team is well-equipped to help you make this judgement based on the type of event or honor. How do you ship your awards? 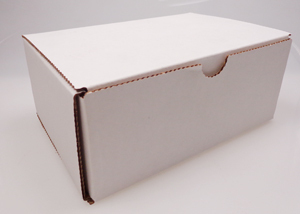 We keep shipping simple for our clients. All awards are shipped with FedEx. We offer ground and expedited service and ship to over 150 countries each year with absolute accuracy. Our superior service is achieved, in part, through excellent support relations with both domestic and international FedEx personnel. We follow a strict quality control procedure and employ a long-term, highly-skilled production team that operates out of our 38,000 square foot production facility in Grove, OK. So you can expect your awards to arrive safely and on time. When you receive your Exclusives Line or Custom award there is a certificate of authenticity inside. Clients have asked, “What is this about?” Simply put, it’s a small certificate, offered in several languages, which confirms that the award you are holding was designed and crafted by Society Awards and upholds our industry-leading quality standards. How will anyone know that this is an award from Society Awards? Our awards are designed with unique design flair. Our tenured clients recognize our creations as uniquely “us.” We manufacture more high-end and high-profile awards than any company in the industry, and many clients enjoy telling winners that their award comes from Society Awards. In addition to our signature luxury design and craftsmanship, each Society Awards creation arrives in a signature gold presentation box, accompanied by a certificate of authenticity (and instructions for care). 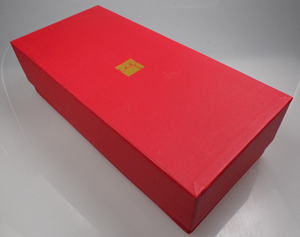 What type of gift packaging do your awards come in? The type of packaging is noted on each product page. 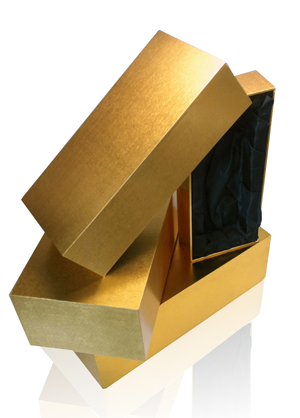 Virtually all of our Exclusives Line of awards ship in our signature gold presentation box. We are headquartered in New York City, in the Midtown area. Clients are welcome to visit and discuss projects with us at any time. If you do schedule a visit, you will have the opportunity to see firsthand our extensive library of beautiful, prestigious awards. We also have dedicated distribution and production facilities in the Midwest that allow us to easily reach domestic locations from coast to coast. How should I plan for a set event date? We strongly recommend that you plan for your awards to arrive at least one day before the event. If you are unsure when to order or have any questions, please don’t hesitate to contact us at (646) 290-7448 or concierge@societyawards.com. Our dedicated concierges are highly knowledgeable in production lead times and on-time delivery. Why are you the best awards company? Firstly, we create high-end, exclusive awards. We have built the most extensive client base in the industry and make more custom awards than any company. By varying the client and project, we have built an indisputable expertise in luxury and custom awards design and manufacture. Additionally, our place as the world’s only luxury awards designer and manufacturer has held strong because of an uncompromised and unmatched commitment to service, quality and great design. Check out our extensive custom project work by visiting our Custom Awards Gallery. Can you store inventory for us? 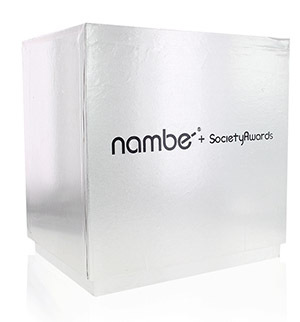 For large scale programs, where awards are called out over a period of time, we are happy to discuss with you the option to store and ship on-demand. This is a special added value that we are able to provide certain clients. Can you replicate my existing award? 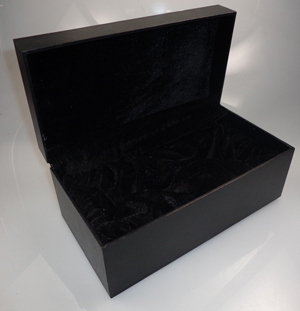 Many clients ask us to replicate an existing award, one they are already receiving from another manufacturer. While we love to design our own awards, we happily welcome the chance to manufacture other award designs. Society Awards employs long-term design and engineering experts to recreate your existing award. Those teams work with our experienced artisans to ensure that the design is perfectly executed. In fact, replicated designs benefit from our superior craftsmanship and finishing techniques to produce an even more lustrous and consistent result. Our advanced die casting process eliminates flaws while our superior materials, finishes and polishing techniques ensure a higher-end award. These are just a couple of the reasons we make awards better than anyone else. Can my winners order duplicate awards through you? Yes. Winners often order additional awards after an event, and we are happy to ship directly to your winners. However, we will need your approval to provide this service. Your Concierge will establish an order approval process with you so that additional awards are distributed exactly as intended. What different colors and finishes can you provide? Can I inventory and ship to winners myself? Awards are sculptures. Even if they appear solid, they are fragile when shipped or handled roughly. Imagine an award as a piece of art or a fragile item like a lamp or vase. If you do not have a commercial shipping department which routinely ships fragile items, we do not recommend that you ship awards yourself. If you need to ship an award, take it to be professionally packaged. When possible, have us handle shipment. Society Awards maintains industry-leading processes to ensure safe packaging and transit, but we are not responsible for any shipping damage. 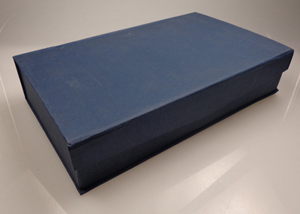 If an award we ship arrives damaged, we have a procedure to address. Please reach out to us promptly at (646) 290-7448, and we will assist you. If you ship an item yourself and it is damaged, we will do our best to help you get it replaced or repaired at additional cost.